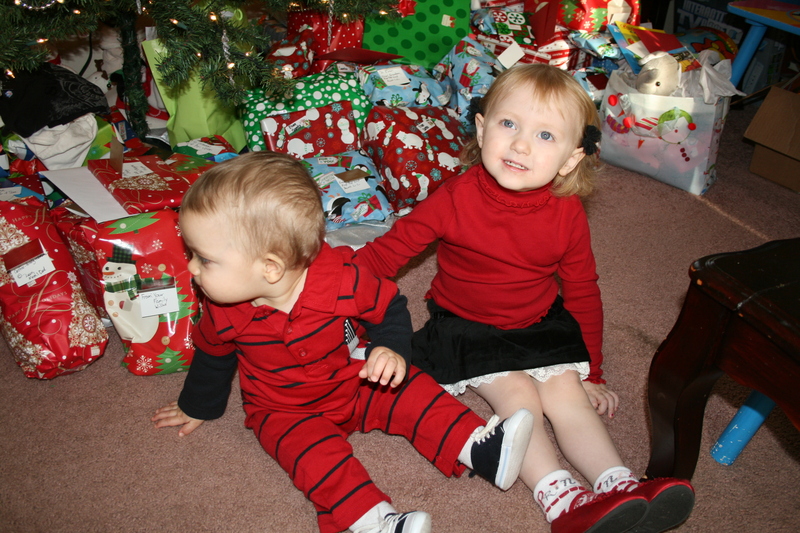 Our kiddos were so patient on Christmas morning! We woke them up, got them dressed for church, showed them the present pile and hoped for the best. Our next task was not to let them tear into the gifts, but to travel 50 minutes to surprise my parents at their church then drive back home for snacks and gifts. They were so patient, but weren’t all about holding still for the camera (as you noticed in this post). Although I am partial, I think they are still pretty darn cute. This entry was posted in Arianna, Evan, Holidays and tagged Christmas. Bookmark the permalink.